In 1978, following the Pro-Life Movement's decade-long battle with the March of Dimes, the International Foundation for Genetic Research, popularly known as The Michael Fund, was founded as the pro-life alternative to the MOD. Why such a need existed then and continues to exist today is the subject of this concluding segment on eugenics, appropriately titled "Prelude to the New Holocaust." By 1937, the year that the National Foundation for Infantile Paralysis (later renamed the National Foundation/March of Dimes) was established to eradicate polio, the Eugenic Establishment was already an important but not as yet permanent or popular feature of the American scene. In the United States as in Europe, eugenics had become fused with the tenets of Social Darwinism and Racial Hygiene. The nation's key eugenic organizations funded by the Rockefeller, Harriman and Carnegie families included the American Eugenics Society (AES), and its sister organization, the American Society of Human Genetics (ASHG) established in 1947, the Cold Springs Harbor Experimental Station for the Study of Evolution, the Eugenic Record Office, and the Rockefeller Institute for Medical Research. They promoted eugenic counseling, selective mating and artificial insemination as "positive" means of breeding superior human stock and compulsory sterilization and euthanasia as forms of "negative" eugenics to weed out "inferior" or "unfit" human stock. The emergence of the March of Dimes as a major player within the Eugenics Establishment in the 1960s can be traced back to the organization's earliest association with the Rockefeller Institute from whence it drew many of its key advisors and grantees in the field of virology and polio research. The presence of well-known proponents of eugenics on the MOD's original Board of Directors and Medical and Research Committees including Jeremiah Milbank, and AES members Professors Anton Julius Carlson and Clair E. Turner, would also contribute to the MOD's decent into the eugenic maelstrom two decades later. On July 22, 1958, the MOD formally announced its decision to phase out its polio programs and mount an unprecedented national crusade against "birth defects." To be more precise, the powerful foundation was about to launch an unprecedented campaign of eugenic cleansing designed to eliminate pre-born children suspected of having birth defects. New technological developments in human genetics including cytogenics, cell culture, and prenatal diagnosis, combined with changes in state abortion laws to accommodate eugenic killing now made such a campaign both possible and practical. In 1959, the MOD made its first direct connection to the Eugenic Establishment by agreeing to finance a series of mini-courses in medical genetics (the new code-word for negative eugenics) at the Jackson Laboratory in Bar Harbor, Maine in cooperation with Johns Hopkins University in Baltimore, Maryland. The strategy to bring eugenics into the nation's medical schools was based on the assumption, that later proved correct, that women were more likely to take eugenics advice from her doctor than from a representative of a eugenic society like the AES. The Jackson Laboratory that today bills itself as "a world leader in the genetics revolution" was founded in 1929 by Dr. Clarence Cook Little, a Rockefeller protégé with prominent connections to the American Eugenics Society, the Euthanasia Society and the American Birth Control League. During the 1960s, the MOD initiated and financed a string of "Birth Defects Prevention Centers" at major medical institutions throughout the United States. Unlike the antiquated and little-used information-only hereditary counseling centers operated by the AES and the Eugenic Record Office in the 1920s and 30s, these new "genetic" (read eugenic) centers offered "at-risk" couples the opportunity of giving birth to only unaffected children – providing they were willing to utilize prenatal testing via amniocentesis and abort all affected children. Interestingly enough, until challenged by the Pro-Life Movement, the MOD made no attempt to disguise its eugenic policies and programs. For example, in its Annual Report of 1970, the MOD featured one of its prototype eugenics programs at Johns Hopkins that went into full scale operation in June, 1969. The report matter-of-factly quoted program director Dr. Richard Heller who explained that the purpose of the Birth Defects Center is "to encourage parents to have children… parents who otherwise might not have children for fear of [their] being afflicted with birth defects. His associate, Dr. Robert Cook then explained the amniocentesis process by which a hallow needle is inserted into the uterus of the pregnant woman and amniotic fluid containing cells shed by the developing baby is removed for culturing and examination. "If evidence shows the fetus to be abnormal, the parents may consider termination of pregnancy," explained Cook. During the first year of the Johns Hopkins Birth Defects Program two patients had chosen to abort their babies who were "definitely defective," he concluded. In April, 1971, the MOD published without disclaimer, as part of its Original Articles Series, the proceedings of the American Society of Human Genetics Symposium on Intrauterine Diagnosis and Selective Abortion held in Indianapolis on October 13-14, 1970 which openly promoted eugenic abortion. All but one of the pro-abortion symposium speakers were either MOD grantees or National MOD advisory board members. And all speakers confirmed the link between first and second trimester prenatal diagnosis and abortion of affected children. One symposium speaker suggested that aborting a child with Down syndrome was simply giving Mother Nature a helping hand. Another foresaw the time when all pregnancies would be monitored by amniocentesis in order to fulfill the two-child norm associated with population stabilization on the premise that most parents prefer to abort an affected fetus than care for a sick child who requires only the most trivial treatment. In Part I of this series on eugenics, it was noted that as the euthanasia centers in Nazi Germany perfected their killing techniques on mentally and physically handicapped men, women, and children, they became "schools for killing." Various techniques such as the extraction of gold fillings were tried, perfected and routinely used on patients marked for extermination. "Graduates" of these killing schools later went on to man the gas chambers in the East. A similar pattern emerged in connection with the expansion of the MOD Birth Prevention Centers. Since women are generally eager to carry unaffected babies to term, the attending geneticist/physician has to acquire his prenatal diagnostic skills for amniocentesis and the more dangerous fetoscopy and chorion villus sampling (CVS) by first practicing on women scheduled for abortions, that is, what MOD grantees refer to as TBAs (To-Be-Aborted women). In the latter case, frequently it is the attempted prenatal diagnostic procedure that maims or kills the baby rather than the scheduled abortion. Peter A. J. Adam used the severed heads of live aborted babies between three to five month gestation in his fetal brain fuel metabolism experiments conducted at the University of Helsinski, Finland. Dr. John F.S. Crocker, used 60 pairs of human embryonic kidney obtained from "therapeutic" abortions after five to twelve weeks gestation in his renal research program. Dr. Stanley J. Robboy used the reproductive tracts of baby girls aborted by D&C and prostaglandin in his DES experiments. Dr. G. Cunha used the reproductive tracts of male and female aborted babies in similar experiments dealing with the teratogenic effects of certain drugs on developing human organs. Dr. A de la Chapelle of the University of Helsinki received a MOD grant to develop a non-evasive, simple and safe early prenatal test to replace mid-trimester amniocentesis – thus shifting the abortion timetable from the second trimester to the first trimester. He obtained cells sources from maternal blood samples and the open-heart puncture of healthy ten week aborted fetuses. During the 1970s and early 1980s it was MOD's private foundation monies that permitted these researchers and many others including Drs. Blanch Alter, David Nathan, Haig Kazazian, Yuet Wai Kan, and Mitchell Golbus to bypass the government ban prohibiting the use of federal funds for such non-therapeutic, lethal experimentation on live human fetuses. A virtual international "medical underground" was created to supply fresh human fetal tissues, blood or organs to "needy" researchers both in the U.S. and abroad. Among the arguments adduced for the euthanasia murders of mentally and physically handicapped Germans and Austrians in the Third Reich, the economic factor was the most prominently stressed, namely, the cost of keeping these patients alive and caring for them. Four decades later the players and scenery has changed but the eugenic script remains the same. While MOD executives have denied charges that the foundation favors eugenic abortion as a means of reducing society's cost for the care of the handicapped, facts prove otherwise. In the Fall of 1978 the MOD heavily lobbied Congress to expand state-wide and federal genetic screening and prenatal diagnostic services and laboratory facilities – a move to further integrate eugenics into standard medical practice. On September 21, 1978 all members of the House of Representatives received a letter from NF/MOD president Charles Massey claiming that "the financial cost of treating and institutionalizing our severely affected survivors (of genetic disorders) is staggering" and "we cannot begin to measure the cost to survivors themselves and their families." While acknowledging the MOD's "innovation and leadership" in pioneering genetics (read eugenics) in the U.S., Massey said that it was time for federal and state governments to take over the war to "prevent birth defects." He stated that the expansion of genetic service including prenatal diagnosis could help reduce the incidence of such disorders as Down syndrome and Tay Sachs. Left unsaid was the fact that since no cure exists for these disorders, this "reduction" could only be achieved eugenic abortion. Similarly, in 1982, MOD Vice President Dr. Arthur Salisbury claimed that expanding health insurance coverage for genetic services would save the government billions of dollars in "custodial care" of "genetically handicapped children" born in the United States each year. In the Final Report of a joint MOD-financed study (1982-1983) by the Health Services Foundation on genetic health insurance, the HSF determined that screening and prenatal diagnosis were cost-effective when compared to the high cost of caring for "blighted" children. The report stated that a model Tay Sachs genetics services begun in 1970 had reduced the number of affected children born annually with the metabolic disorder in North America from between 50 to 1,009 to only 13 in 1980. Mid-trimester prenatal diagnosis for non-treatable disorders is not a "neutral" procedure as some MOD proponents claim. As Professor Arthur Dyck of Harvard writes, "The assumption that the use and application of amniocentesis is a neutral sphere for physicians and society presupposes that for physicians and society, abortion is not a moral issue, and that existing laws do or will insure that abortions are decided solely by families and physicians. To go this way is not morally neutral, and is not life affirming…. If both physician and society should be impartial regarding the use of amniocentesis to prevent diseases by eliminating the diseased, what advocate is left for defenseless life?" In a similar manner, Professor Leon Kass of the University of Chicago, a critic of the cost-benefit arguments of eugenic "breeding and weeding" reminds fellow physicians and scientists that, "…it is we who are responsible for choosing to develop the technology of prenatal diagnosis, for informing and promoting the technology among the public, and for the actual counseling of patients." And he notes that, regardless of what most physicians and counselors in the genetics field say or do about letting the parents choose, "in their heart of hearts" they believe that the retarded and the handicapped have no right to exist or "why else would they have developed genetic counseling and amniocentesis?" Not only has the NF/MOD eugenics programs led to the death of thousands of pre-born children but these programs have also profoundly and adversely altered the way people think about mentally and physically handicapped people. Today, as Dr. Marie Peeters-Ney, former colleague of Dr. Jerome Lejeune in Paris and the new Director for Medical Research of the Michael Fund has observed: "The birth of a child with a chromosomal anomaly is now widely considered as a medical error and in certain countries lawsuits are done against doctors are filed because they failed to diagnosis the 'condition' in utero. In an insidious manner, mentalities are changing and people now regard persons with a handicap as someone who should not be there." Speaking from first-hand experience, Dr. Peeters-Ney states that, "The handicapped themselves know that, had their condition been diagnosed in utero, they would not have been allowed to be born. Like all abortion survivors, they suffer from the psychpathology associated with being a survivor – existential guilt, fear, anxious attachments." "Fortunately, however, there are still parents who love all their children with an unconditional love and who see in their mentally or physically handicapped child someone who will do great things for God," she said. When Dr. Lejeune died in Paris in April of 1994, Dr. Peeters-Ney took over the care of some of his patients. She recalls one incident involving a young man with Down syndrome. When she had completed her clinical exam, he looked at her and asked a very serious question: "Now that Dr. Lejeune is dead, who will protect me?" 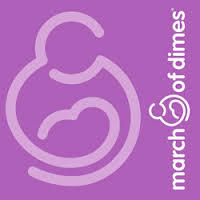 Certainly, it will not be the March of Dimes! This is why, until the March of Dimes adopts a totally pro-life philosophy and publicly renounces its eugenic past and attachments, defunds its genetic killing centers and commits itself to a 100% life-affirming birth defects program, the Michael Fund will remain – The Pro-Life Alternative to the March of Dimes. Emma Ross, "Bump on Fetus May Help Detect Down Syndrome," Pittsburgh Post-Gazette, July 31, 1998, p. A3. Jeff Sallot, "Latimer Sentence Too Harsh, Poll Told – Tolerance for Mercy Killing," The Globe and Mail, January 11, 1999. See also, Brigette Jobin, "Latimer Case Sparks Debate at Conference," The Saskatoon Star Phoenix, May 17, 1999, p. A6. "From Auschwitz to Kovorkian," New York Post Editorial, April 25, 1998. Dr. Leo Alexander, "Medical Science Under Dictatorship," New England Journal of Medicine, 241: 39-47, 1949. Reprinted in Child and Family, Vol. 10, No. 1. Bernhard Schreiber, The Men Behind Hitler, English translation by H. R. Martindale, La Haye-Mureaux, France. Reprinted in Child and Family, Vol. 13, No. 3, 1974. Editor, Dr. Herbert Ratner. For information on Dr. Alexis Carrel and the Rockefeller family connection to the Kaiser Wilhelm Institute in Germany see Schreiber, pp. 23-24, 29-30. For an excellent overview of Germany's early euthanazia program see Henry Friedlander, The origins of Nazi Genocide – From Euthanasia to the Final Solution, University of North Carolina Press, Chapel Hill, N.C., 1995. Fredric Wertham, M.D., "The Geranium in the Window – The 'Euthanasia' Murders," A Sign for Cain – An Exploration of Human Violence, Warner Books, N.Y., 1969, pp. 150-186. In 1996, the German government issued a commemorative stamp honoring Bishop (later Cardinal) Clemens von Galen, "The Lion of Munster." Fifty-eight years ago, on March 8, 1941, Bishop von Galen of Munster in Westphalia invoked an archaic law to bring the on-going euthanazia murders to public attention. "Article 139 of the Penal Code provides that anyone who has knowledge of an intention to commit a crime against the life of any person… and fails to inform the authorities or the person whose life is threatened in due time…commits a punishable offense. When I learned of the intention to remove patients from Marienthal I reported the matter on 28th July to the State Prosecutor of Munster Provincial Court and to the Munster chief of police by registered letter… I have received no information of any action by the State prosecutor or the police," proclaimed Bishop von Galen from the pulpit. This statement by Bishop von Galen is part of his "Three Sermons in Defiance of the Nazis," available from the Church in History Center, 21 Elm Road North, Birkenhead, L42 9PB, England. (Source: Alert Euthanasia Update, No. 14, Autumn, 1996, London). Unfortunately, Dr. Fredric Wertham, author of A Sign for Cain believes that Bishop Galen's strong warning "had no lasting effect," due to in part to the lack of reinforcement from the Vatican. One of our Pennsylvania readers, a long-time admirer of Bishop von Galen has expressed concern that Wertham's criticism concerning the lack of follow up by more definitive action by the Church is unjust in light of the horrific circumstances of the times. Both writers have their point. But there are two things of which we can be fairly certain. First, as Wertham points out, by early 1941, "The forces of destruction and propaganda had become so entrenched that the public could no longer do anything about it anyhow." Secondly, that charges of inaction to the "the action" as the euthanazia murders were called, could, and should have, been more logically laid at the feet of the United States goverment which had received information as early as October 1940 on the systematic killings of mentally ill patients from American diplomats in Germany, but, for political reasons, chose to deep-six the alarming news. Unlike the courageous Bishop Galen, the State Department sent neither a diplomatic protest to Berlin nor did it make any attempt to muster public opinion against the cold-blooded scientific killings. Sources: David Stout, "U.S. Knew Early of Nazi Killings in Asylums, Official Documents Show," New York Times, July 29, 1999 and Calvin Woodward, "A Frantic Appeal from the Past to Stop Nazi Horror," AP, July 29, 1999. For an early history of the Georgia Warm Springs Foundation which later became the National Foundation/March of Dimes see Jane E. Smith, Patenting the Sun: Polio and the Salk Vaccine, Wm. Morrow and Co., N.Y., 1990. For a detailed history of the controversy over the premature release of the Salk Vaccine and the subsequent cover-up by the MOD see the four-part series in Child and Family, Vol. 19, No. 4. For additional information into the early Eugenics Movement in the United States see Daniel J. Kevles, "Annals of Eugenics," The New Yorker, Parts I – IV, Oct. 8, 15, 22, 29, 1984. Kathy O'Keefe, Listing of the American Eugenics Society, available in print and computer disc from Eugenics Watch, 1930 Lawrence Ave., #A34, Havertown, PA 19083. Mary Meehan, "Genetics is Another Word for Eugenics," National Catholic Register, June 6, 1993. Back copies of the MOD's Annual Reports and the Original Articles Series are available from the National Office of the March of Dimes in White Plains, N.Y.
For an excellent review of leading MOD grantees' projects involving live human experimentation see Suzanne Rini, Beyond Abortion: A Chronicle of Fetal Experimentation, Tan Books, Rockville, IL 61105. Also A March of Dimes Primer- The A-Z of Eugenic Killing, U.S.C.L., Box 315, Export, PA, 15632. For details on the Adam grant see Who Will defend Michael?, Part II, published by the USCL, Box 315, Export, PA 15632, 1974. For a description of the MOD Crocker grant see NF/MOD Facts' 73, p. 36. Also "Kidneys Taken from Abortions Used in Growth defects Study," Canadian Family Physician, March 1973. For additional information on the Robboy and Cunha grants see Biological Research in Pregnancy, Vol. 4, No. 2, 1993. Also Developmental Biology, Vol. 106., No. 2, Dec. 1984; Human Pathology, Vol. 18., No. 11, Nov. 1987; and Perspectives in Pathology, (0046-8177/82/0300/0190). For details on the Dr. A. de la Chapelle MOD grant see "Stimulation of Human fetal Lymphocytes by lipopolysaccharide B in Culture," Scand. J. Immunol., Vol. 6, 1977, p.6. For information on Alter, Nathan, etc. experiments see "Pre-Natal Screening May Lower HB Abnormaly Incidence, Medical Tribune, Dec. 10, 1980, p. 3. and April 5, 1978, p.1. Copies of the Sept. 21, 1978 Massey letter to Congress available from the USCL. For a copy of The Final Report of the HDF write Blue Cross-Blue Shield, 676 N. St. Clair Street, Chicago, IL 60611. Prof. A. J. Dyck, "Ethical Issues in Community and Research Medicine," Linacre Quarterly, Nov. 1976, p.222. Prof. Leon Kass, "Implications of Pre-Natal Diagnosis for the Human Right to Life," Ethical Issues in Human Genetics, B. Hilton et al., eds., 1973, p. 188. Drs. Philip and Marie Peeters-Ney, Abortion Survivors, available from The Michael Fund.